This month we are tackling Employer / Employee Loyalty and what it looks like in today’s workplace from our Millennial panelists’ perspective. To frame the discussion, we highlighted these statistics gathered on accessdevelopment.com. The average American worker stays at their position for 4.5 years. What makes you feel loyal to an employer? The panelists certainly don’t expect to stay at a job for more than 3 years; the longest any of them has stayed anywhere is 5 years. Feeling part of a team begets loyalty; when upper management includes you in the global vision and goals and milestones for where you’re headed, they make you feel part of their team. Jobs that provide education and opportunity, where the employer invests in the employee, are more likely to keep our panelists for the longer term. Staying at one job forever is not part of any of our panelist’s plan; they have all embraced the new way of working when it comes to length of time on a job. Participation in creating your goals and strategy has a huge impact on loyalty; our panel set a very high benchmark for themselves. Daniel, who works at SAP where it is clear his company invests in him spoke about how much his job was part of his identity. What would you do to foster loyalty if you were running the show? Promote loyalty within work teams, as loyalty to colleagues will inspire and retain employees. Provide evidence of management’s trust; this includes being transparent about a company’s overarching goals and planning, AND where the company is actually at. Remembering to be human; allowing work colleagues a window into who you are as a whole person makes them open up themselves. Making sure you know what they need, including for non-work related issues. Taking time to work alongside them periodically “in the trenches” helps you understand what the real needs and challenges are. Making sure that all employees participate in setting their own goals. Ensuring that silos don’t develop. 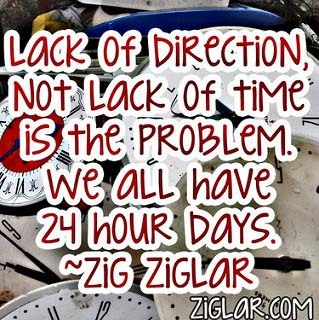 Lack of direction not only within your own career but from leadership. Do the C Suite have a vision? Is it believable? Inconsistency in direction from a manager. Having to “walk on eggshells” for fear or repercussions from management.